Tucked away, off an unremarkable West Midlands dual carriageway, in an unremarkable West Midlands industrial complex is an unremarkable industrial unit. But it’s here where some of the world’s most extraordinary motorcycles are restored. As they say, you can never judge a book by its cover. 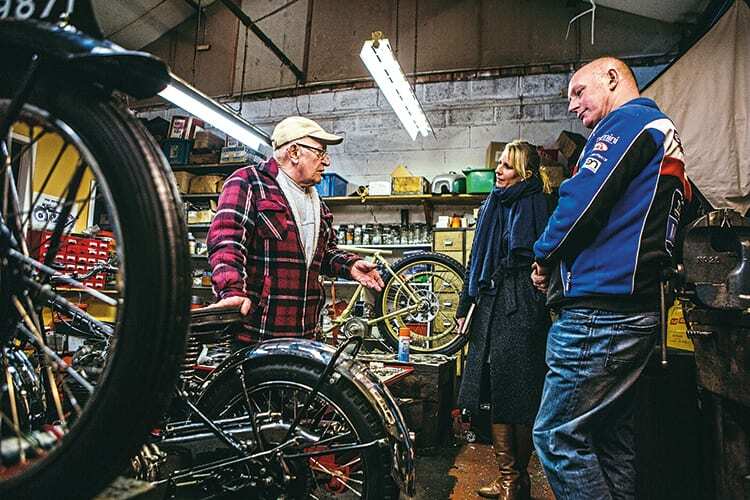 This is the workspace of Colin Wall, who’s been restoring some of the world’s most important two-wheeled machines since 1974. Wall has worked on – quite literally – hundreds of motorcycles for the National Motorcycle Museum (NMM), many of them before the museum existed. What’s more, his craft has been passed on to his son, Wes, and his grandson Kyle, who also restore motorcycles for the NMM.